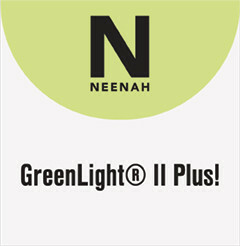 GreenLight® II Plus! is a bright white true coated two side (C2S) backlit poster media that provides uniform translucency and image definition in both frontlit or backlit poster applications. Designed to provide uniform translucency and dimensional stability. Designed to be used with UV curable and latex printers. Posted in the categories Filter by Printer, Filter by Print Media, Filter by Application, Filter by Brand.